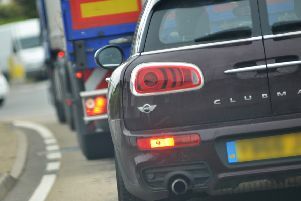 A collision involving two vehicles is causing traffic to build on the A27. The accident occured at the Manor roundabout, which connects Grinstead Lane and the A27. It is affecting traffic coming from Brighton Airport.